Carbo-loading at a spaghetti feed was a time-honored tradition before race day. However, the age-old eat-as-many-carbohydrates-as-you-can before a big event has now morphed into quite the opposite. Athletes now focus their diets on lean proteins and vegetables. The complex carbohydrates they use for fast-burning fuel are chosen wisely and consumed at specific times and quantities. They also avoid over-eating prior to an event. Up for a pasta dinner? Maybe not. What do professional athletes eat to maintain their amazing prowess? Providing insight on the topic are three local endurance athletes who relay how they fuel up for race day. Truckee-based Andy Scott is a sponsored endurance athlete who races on the Marc Pro–Strava team, a Northern California group that competes in cycling events. Both a cyclist and a ski mountaineer, Scott tailors his nutrition to the specific sport for which he is training. In general, Scott classifies his diet as “gluten-light.” He derives much of his carbohydrate intake from brown rice, focuses on quality proteins and fats, and keeps his diet natural and balanced. A self-proclaimed “bio-hacker,” Scott loves to experiment with the foods that fuel him as well as the timing of intake. Scott likens food to the type of fuel used in cars. Diesel, he explains, are the proteins and fats sustaining your energy that keep you chugging along, whereas high-octane jet fuel would be fast-burning sugars, such as fructose and sucrose. Both fuels are important and serve a purpose in training. The night before an event, Scott eats a simple dinner, typically consisting of grilled chicken, brown rice and a cooked leafy green such as spinach or kale. On race day, if his event is less than two hours, much of his consumption is in liquid form, such as gels and sports drinks—the jet fuel keeping the fire burning during a high-intensity race. If the event is more than two hours, he replaces calories on a consistent basis through fat and protein-rich foods as well as fast-burning sugars. Scott’s go-to nourishment right around hour six of an event? Ice-cold Ensure. 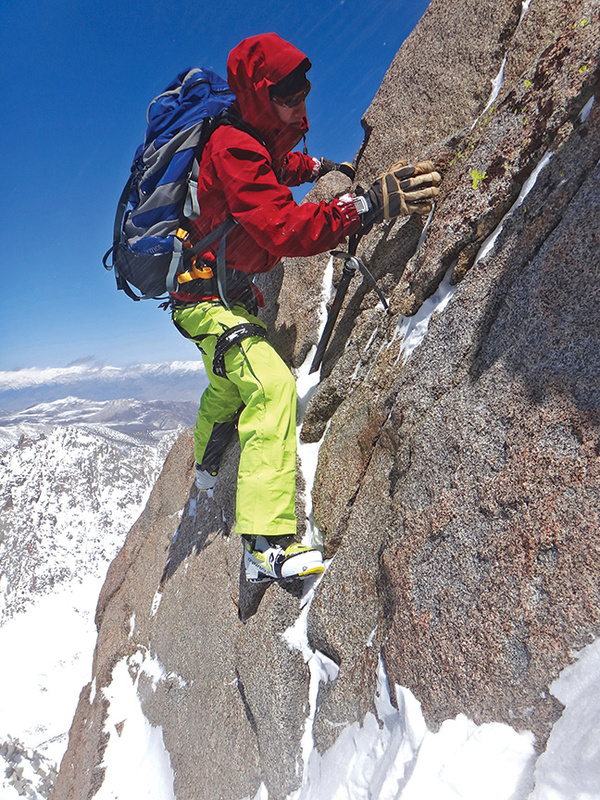 When mountaineering, Scott focuses on sustaining low-intensity movement for a long period of time. Fats are what take him through a long day on the mountain. He typically packs his favorite apple fritter, a freeze-proof, high energy, tasty snack. No matter the sport, Scott says a well-balanced diet is the golden ticket. 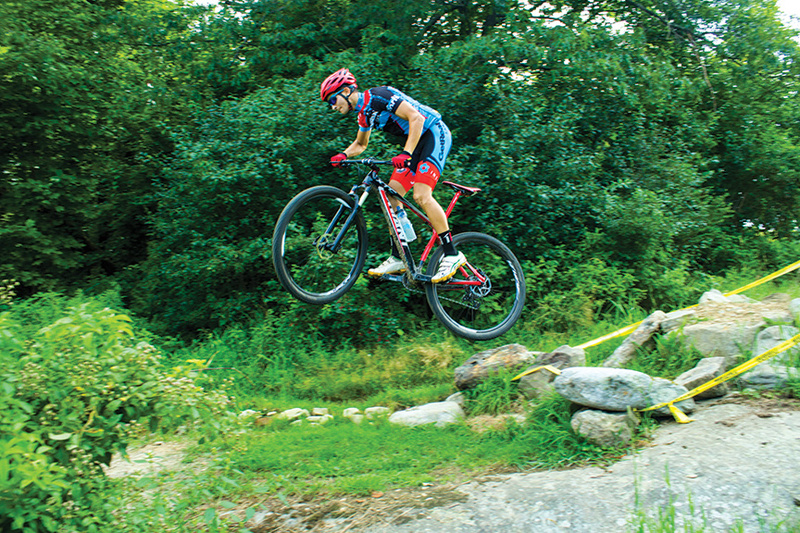 Coming from a lifetime of motocross racing, Reno’s Trevor DeRuisé is new to competitive mountain biking but has already earned his laurels, having competed and placed in a variety of endurance mountain biking races across the country. DeRuisé maintains an animal protein and vegetable-based diet regardless of whether or not he is training. He eats gluten-free and limits his intake of non-wheat grains to when he is training. Gluten-free grains are helpful during times of high-energy output but have minimal nutritional value during sedentary times because one can receive a higher density of nutrients from the carbohydrates that are in vegetables and fruit than the carbohydrates in grains, he says. Healthy polyunsaturated and monounsaturated fats provide a higher amount of energy than carbohydrates and also help the body absorb nutrients, making a plant and animal-based diet very efficient and healthful, he adds. The night before a race, DeRuisé eats a well-balanced meal rich in complex carbohydrates, with protein and vegetables but not too high in fat or fiber. He avoids over-eating during the meals prior to a competition. His go-to breakfast is typically consumed three hours before a race and consists of oatmeal, milk and fruit. With an entrepreneurial spirit, DeRuisé took his love for fitness and nutrition to the next level and created a recovery drink called Active Recovery, which is made with non-denatured whey protein. The drink is available at bike shops across Reno. A Northern California native, Glenn Jobe is a pillar in the cross-country skiing world. 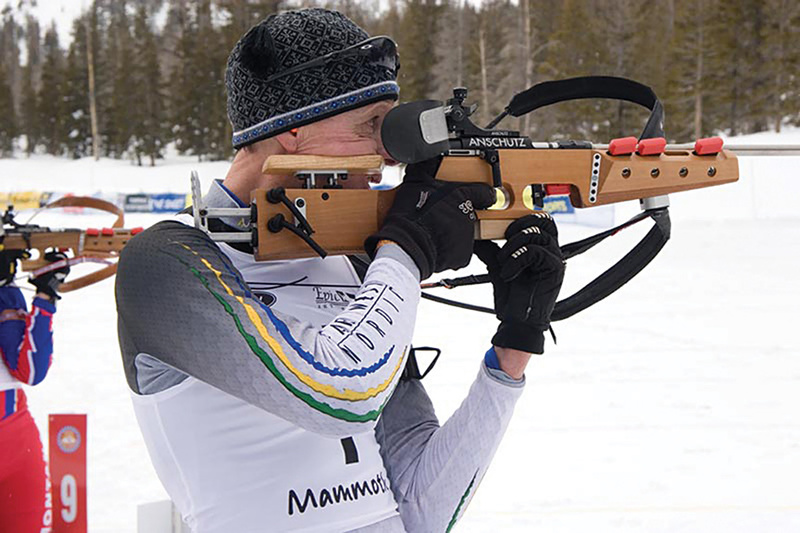 Jobe competed in the 1980 Olympics in the 20-kilometer biathlon, which combines endurance cross-country skiing with rifle marksmanship. Jobe continues to compete in cross-country, biathlon and running events. He also trains cross-country skiers and biathletes and is the program director for the Auburn Ski Club Biathlon. Jobe believes in skiing smarter instead of skiing harder and is renowned for his proficiency in cross-country ski technique. In spite of his athletic efficiency, Jobe admits he did not pay much heed to the types of food he ate prior to the 1980 Olympics. Even today, Jobe takes a relaxed approach to nutrition, enjoying all types of foods and not following a strict diet while training. He maintains that athletes can become too extreme with their diets, which may be detrimental to their performance. While Jobe avoids food trends and did not prioritize nutrition while training for the Olympics, he is now mindful of keeping a low-fat, low-sugar regiment and not over-eating the night before a race. Jobe is a testament to the evolution of sports nutrition. Three decades ago, athletes were not molded to eat a certain way, nor was a diet rich in whole foods trendy the way it is today. As an avid endurance athlete, Jobe’s take on nutrition has changed over the years, although he maintains an all-things-in-moderation approach to food. It was not until recently that sports nutrition shifted focus from carb-loading to choosing energy efficient lean protein, vegetables and slow-burning whole grains. There is a great deal of science behind the ways in which certain foods are metabolized to achieve maximum efficiency and performance. Scott, DeRuisé and Jobe agree a high variety diet and avoiding over-eating are not only essential for athletes, but also for a well-balanced lifestyle. Julia Mueller grew up in Incline Village and is now a Reno-based food blogger; find her work at www.theroastedroot.net.